Popular singer Avril Lavigne has been photographed on the red carpet for the first time in two years after a long time away from the spotlight. Best known for her hit songs Complicated, Sk8er Boi and Girlfriend back in the noughties, it has been a while since Avril has made a public appearance. In 2015 she revealed she had been diagnosed with Lyme disease. The bacterial infection, which is spread by infected ticks, has several common symptoms including headaches, a high temperature, muscle pain and fatigue. Attending the 25th annual Race To Erase MS Gala at the Beverly Hilton Hotel, all eyes were on Avril as she took to the red carpet (technically orange) in a stunning black gown looking perfectly well. 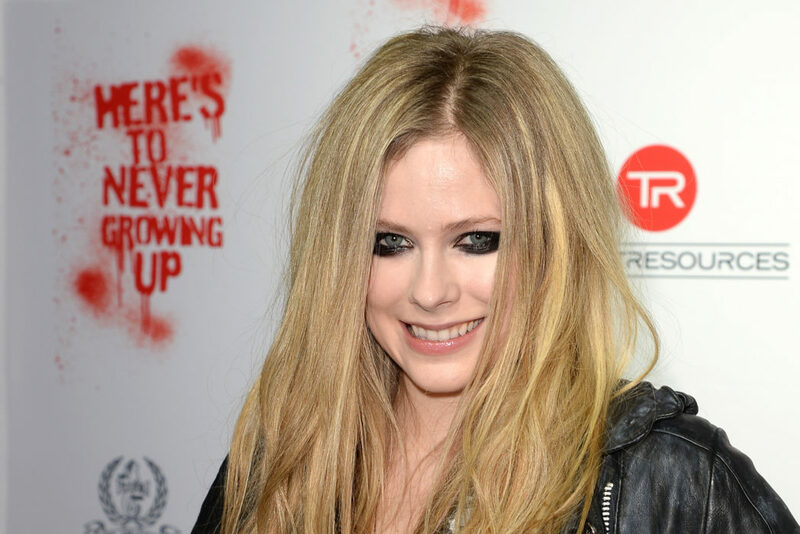 Currently working on a new album, which will be her first since 2013, Avril told E! News it is set to be released later this year. It’s a really powerful record. I’ve been working on this for three years. I can actually say this time I’m going to be done with this album in two weeks and I will put it out this year. I’ve been writing songs that are really just powerful and true and honest and sincere and I think people will really be able to relate to it. I’ve gone through a lot of personal stuff in the past two years and so I’ve really drawn from that. I mean, I always do but this album is so different. It’s more of a vocal record and just like, hearing the lyrics and really hearing the emotion in the vocal. It’s very piano-driven, too. Many of Avril’s fans have been reacting rather negatively to the pop punk princess recently unable to understand why the upcoming album is taking so long to produce. But trust me, I’m doing everything I can and I just want it to be ready and everything to be perfect and lot of like, care has gone into this. All the waiting and the hard work on my end will pay off, I promise. Avril, there’s no need to reassure anyone – these people are clearly just impatient and not true fans unable to take into account the struggles you’ve encountered. And then there’s the ridiculous conspiracy theory that suggested she committed suicide in 2003 and was replaced by a body double. Yeah, I’m not sure how these people come up with these nonsensical theories either, but it was embraced by internet trolls. Some people seriously believe Melissa Vendella, Avril’s famous lookalike, replaced the pop star full time! We’re just glad to see Avril looking alive and well on the red carpet, although some do think it is Melissa.